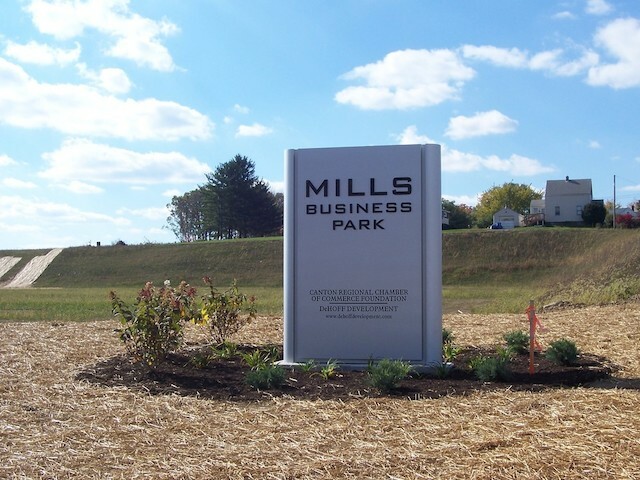 Mills Business Park is a 141-acre Class A Business Park located in the City of Canton, only one mile from Interstate 77. Mills Business Park is owned by two 501(c)3 foundations: the Canton Regional Chamber of Commerce Foundation, and the DeHoff Family Foundation. The park is suited for high-tech research and design firms, distribution companies and businesses that specialize in light fabrication. Those interested in developing industry at the site should contact Michael P. Gill, vice president of economic development for the Canton Regional Chamber of Commerce at (330) 458-2090 or Dan DeHoff, president of DeHoff Development, at (330) 499-8153.